John Joseph is an ordained Assemblies of God minister, attorney and Certified Church Business Administrator and Fellow in Church Business Administration with the National Association of Church Business Administration. He also holds a Cambridge Certificate in Risk Management for Churches and Schools from Cambridge University, England. John completed his undergraduate studies at Stetson University in 1982 and earned his Juris Doctorate law degree from the University of Kentucky, College of Law in 1986. John has been a member of the Florida Bar since 1986 and is admitted to practice in every state court in the State of Florida. "n 2004 our church in Florida was hit by a hurricane. The building became a total write off. The smartest thing we did was hire Attorney John Joseph. A pastor’s role in a natural disaster is to find and care for the sheep. I did not have the time to deal with a reluctant insurance company nor did I have the expertise. However, using John Joseph’s professional approach we received the limits of our coverage which far exceeded the amount we expected or could have achieved ourselves. Moreover, the claim was paid to us in a very timely manner while other churches I knew who did not retain counsel were forced to wait in excess of a year or eighteen months. John Joseph’s service to our church was not an expense rather it was an investment for us because of the excellent work he did on our behalf. We could not have been more grateful for his service to us. Senior Pastor, P.J." "Please accept my sincere appreciation for the work that you recently completed for our church merger. The quality and timeliness of work was outstanding. Which made the transition of our two churches into one to be a very smooth process. All of our questions were answered, and we were kept informed throughout the entire process. I have complete confidence in the integrity and the work that was performed. We should definitely recommend your services to anyone having need of an attorney. Rev. 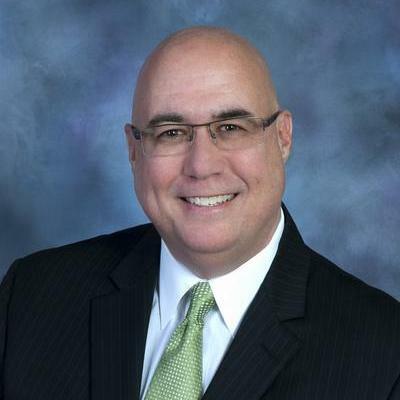 Joseph A. Rogers"
For over 29 years, churches across the state of Florida have relied on church attorney, ordained minister, and certified church administrator Rev. John P. Joseph, Esq., CCA, to guide them through every aspect of a church’s legal existence, from incorporation to governance, employment, property and finances, and even dissolution, merger or consolidation. With his unique background he can help you.